The municipal district of Mijas, has become one of the most popular areas for Ex-pats to move to. This is because it balances the traditional Spanish lifestyle, with the culturally diverse amenities it´s international community requires. 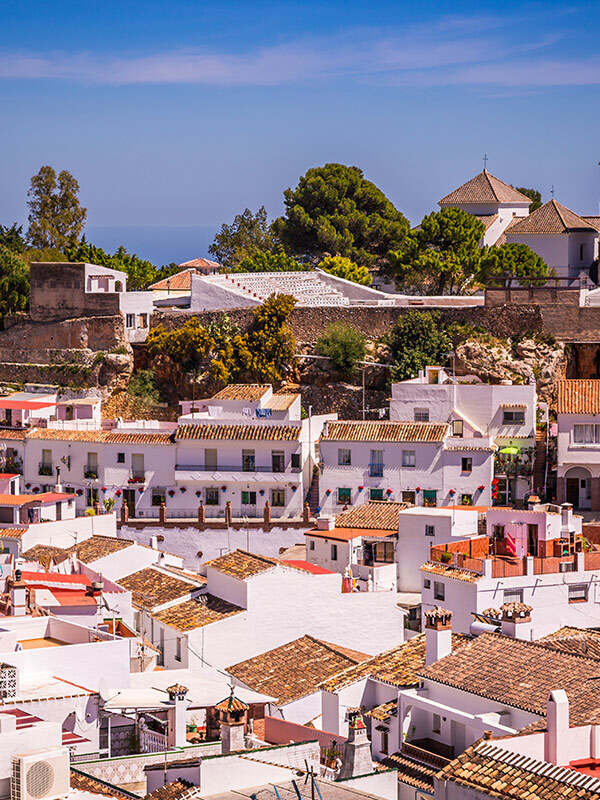 This beautiful district is made up of 3 distinct areas: Mijas Pueblo - a stunning white mountainside village; Mijas Costa - a popular stretch of beautiful coastline which includes several very popular towns such as La Cala and Calahonda; and Las Lagunas - a popular residential and commercial area. There are properties for every taste in Mijas - from traditional to ultra modern; modern penthouses, to rustic villas. Mijas Pueblo is one of the most charming villages in Andalucia. Typically Andalucian, it attracts a mix of tourists, whilst at the same time being a beautiful place to live on a permanent basis. At 428 metres above sea level, you have the most spectacular views the coast has to offer. It´s easy to appreciate why this preety town has become so popular with tourists. It´s traditionally cobbled whitewashed streets lead you through a mix of popular restaurants, and interesting craft shops - which are indicative of the many artists and writers who live in the area. The mix of tourists and locals give the town a quiet buzz, whilst still retaining a strong sense of Andalucian living. Many residents also appreciate living here, because you can have the benefits of the excellent all year round climate, and slower paced way of village living; but with easy access to the more commercial areas of the coast. This village proves that it is certainly possible to have it all! 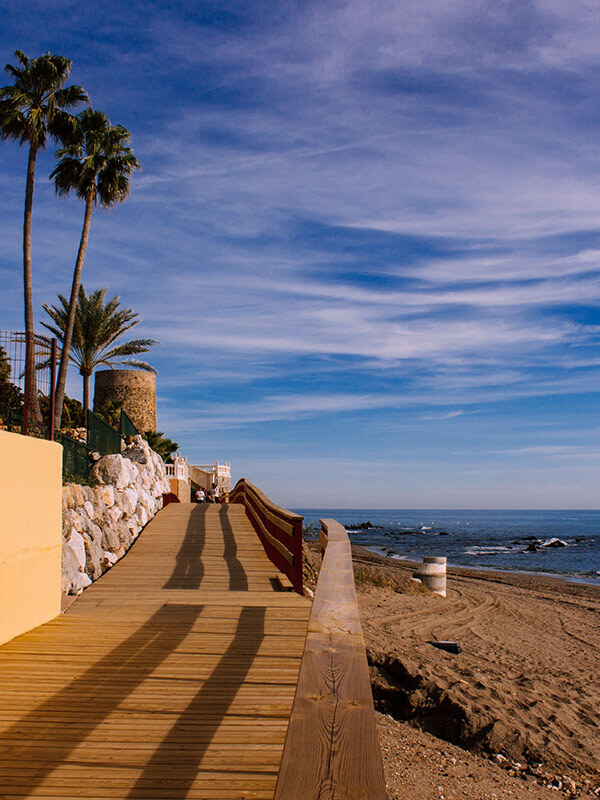 The beautiful Mijas Costa covers a 12km stretch of coastline from east to west, including El Chaparral, La Cala de Mijas, El Combo and Calahonda, and includes two major urbanizations in Riviera del Sol and Sitio de Calahonda. The area is made up of a modern international community, and as such, offers a range of international commercial centres, offering entertainment and a great range of shopping. The coast offers great beachlife activities, ranging from watersking, wakeboarding, and windsurfing, to mention a few. Of course you might just want to relax with a nice meal, and a glass of wine, and there are plenty of places to do this also. A recent boardwalk has recently been installed, allowing walkers to fully enjoy the whole coast in comfort. In short, the coast has it all for tourists, and residents alike. Properties range from bolt hole beach studios, to sprawling luxury villas - allowing all tastes and budgets to be catered for. The largest urbanisations along Mijas Costa, are Calahonda, and Riviera del Sol. They offer the amenites of large commercial centres, supermarkets, golf courses, fitness centres, and of course several decent bars and restaurants. La Cala has become the central point of Mijas Costa. This is because although it has grown larger and larger - from it´s origins as a small fishing village - La Cala has still managed to maintain it´s Andalucian charm. You have the best of both worlds with traditional Spanish life, mixed with modern facilities and infrastructure which includes International Schools; Health Centre; Public Library; Post Office; Quality Shops; World Class Golf Courses and famous Bars and Restaurants. The sense of community and fun in La Cala is perhaps unrivalled along the coast, with popular street markets on Wednesday and Saturday that offer fresh Fruit & Vegetables, Assorted Crafts, Flowers and Plants, and much more. July and August are truly special in La Cala, as the promenade becomes host to Classical music, and Flamenco dancing. It´s impossible to not soak up this very special atmosphere, as you dine in one of the famous seaside restaurants. The season of Noches de Luna y Playa (nights of Moon and Beach) is a truly magical experience that keeps many people coming back to La Cala again and again. Riviera del Sol is an extremely popular area for expats, and is made up of a truly international community. You will find many different types of property here, from studio apartments to large private villas. You are within walking distance to amenities and the beach, and a very popular Golf Course. The area is usually more peaceful than some other areas along the coast, which makes it ideal for all year round living. 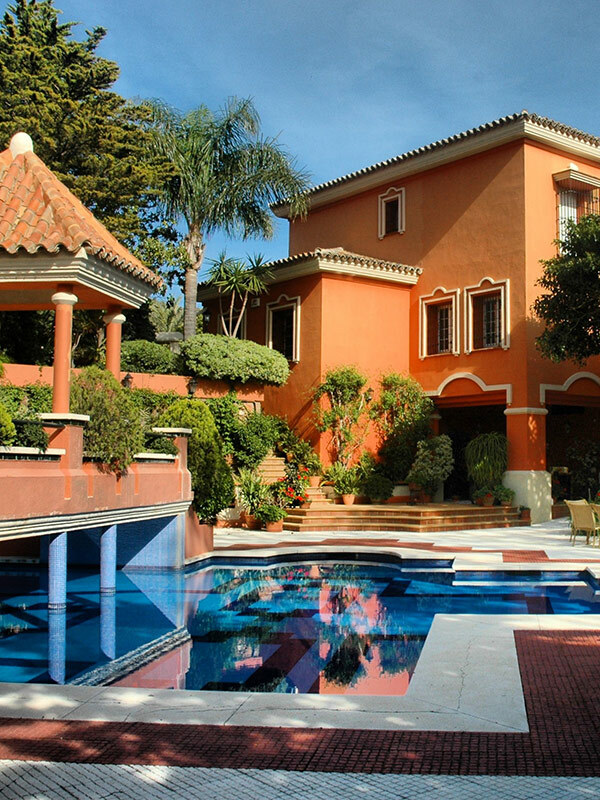 You can find some truly great property bargains in Riviera. From Beautiful Villas for sale, to Bargain Investment Apartments. Miraflores is a very popular community, as it has well maintained gardens, and a real sense of community, due to it´s Bowls & Tennis club, and Golf Course. The area is protected by 24hr security. There are also several popular restaurants. The most popular complexes in Miraflores, include: Pueblo Miraflores; Club Miraflores; Parque Miraflores; Jardin Miraflores; Monte Miraflores; Rancho Miraflores; Angel Miraflores; Playa Miraflores; and Altos Miraflores. 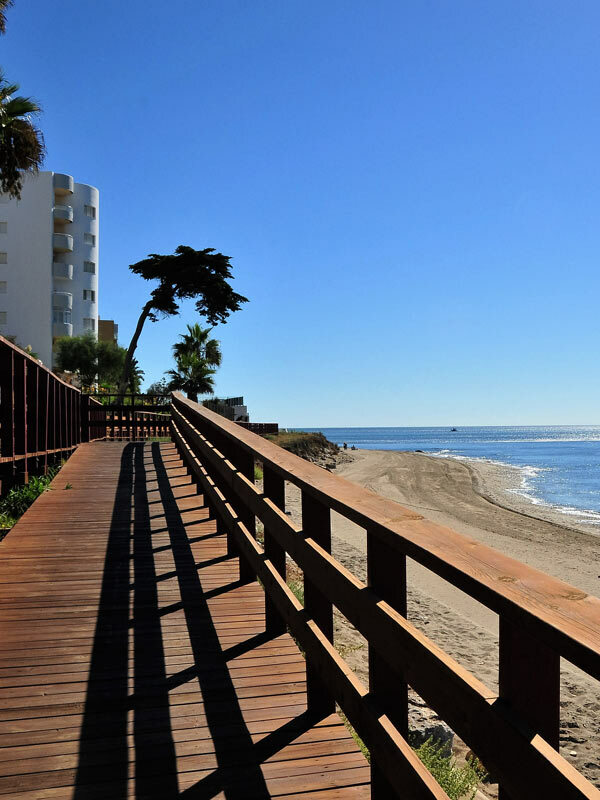 The attraction of property in Calahonda, is that unlike many areas on the coast, it has been properly planned for the long-term, rather than simply building for the sake of building. It´s founder was keen on green areas, and disliked the sight of multiple large apartment blocks, so it´s development has been an organic, natural one. This means the area feels like a real town, instead of a holiday urbanisation. 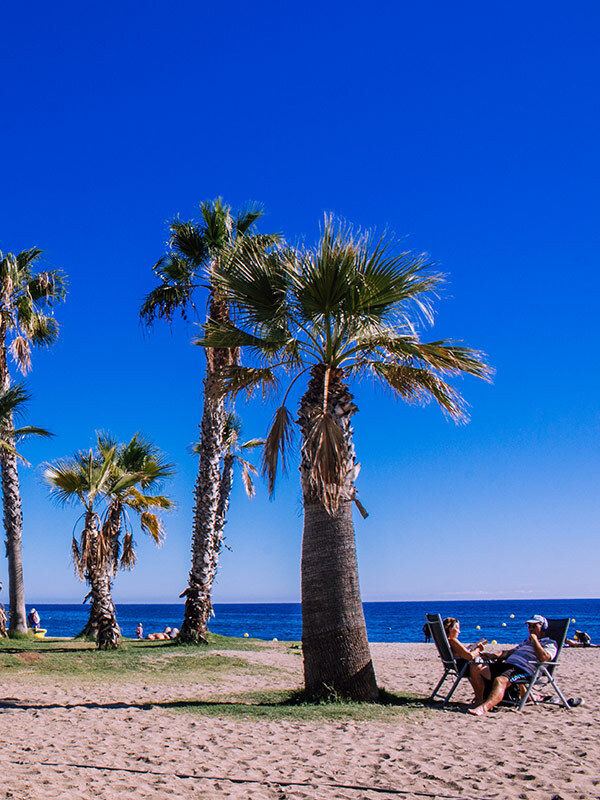 Calahonda is also perfect for lovers of sport, as there are 10 golf courses within a 10km range; several Tennis Courts, and a popular Fitness Centre. The area is also close to several popular international schools - including the English International School, which is only a 5-10 drive from the the urbanisation. Fantastic, 3 bedroom, 3 bathroom duplex apartment / townhouse located front line beach in the area of Calahonda, Mijas Costa. Entirely renovated and modernised.